Reading is developed throughout the whole school, leading to an acceptable level of competence. The resources in school range from picture books, reading scheme books, books from a variety of authors, group reading books and a range of non-fiction library books. We do all that we can to encourage our children’s natural enthusiasm for writing. We provide a variety of resources to support writing in the early stages. As they grow in confidence and competence, our children are encouraged to express themselves in different forms of writing for example, in descriptive work, reporting skills, poetry, letter writing, instructions, reviews and stories. Their writing extends across the curriculum into History, Geography, Science, Mathematics, Religious Education and Technology. As we encourage our children to become writers, we aim to guide them to improve the quality of their work in terms of spelling, grammar, punctuation and handwriting. 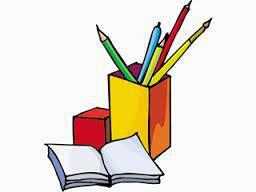 We encourage our children to share their work with others, adults and children, valuing all forms of the written word.